Obamacare subsidies: How much will you get? 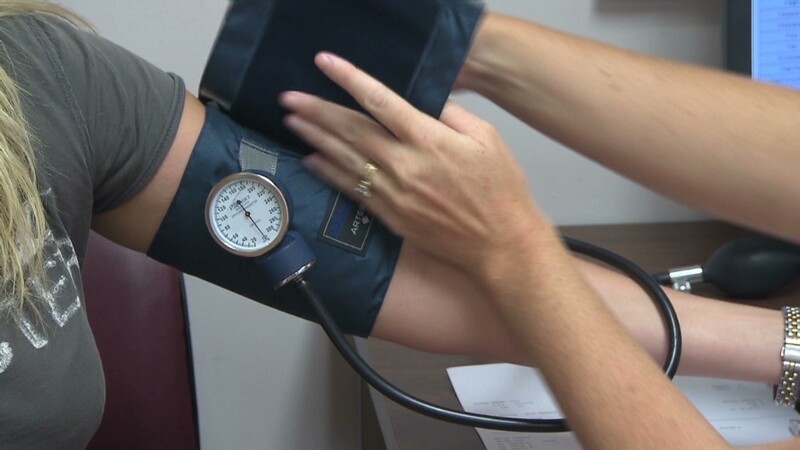 Obamacare subsidies defray how much lower-income consumers have to pay for insurance. Millions of Americans won't have to pay full price for their Obamacare health insurance next year. But just how much they'll have to fork over depends on a couple different things. Thanks to subsidies from the federal government, which will help pay for health insurance on state-based exchanges starting in 2014, many low- to moderate-income Americans will get a break on their premiums. The Kaiser Family Foundation estimates that 48% of Americans who buy individual insurance today would be eligible for subsidies. They would receive an average of $5,548, which would cover 66% of the price. "The subsidies are pretty large for the people who get them," said Gary Claxton, vice president at the foundation, noting that a larger share of new enrollees in the individual market will be eligible for subsidies since they are likely to be lower income Americans who cannot not afford coverage now. Your income: Anyone earning up to 400% of the poverty line will be eligible for a subsidy, which is up to $45,960 for an individual and $94,200 for a family of four. The lower your income, the larger your subsidy. For instance, those making $17,235 a year will pay no more than 4% of income, or $57 a month, while those with incomes between $34,470 and $45,960 will pay a maximum of 9.5% of income, or $364 a month. The federal government will cover the rest. Anyone earning more than $45,960 would be responsible for the entire tab on the Obamacare health plan of his choice. In addition to premium subsidies, those making less than 250% of the poverty line, or $28,725 for a single person and $58,875 for a family of four, are eligible for extra subsidies to defray out-of-pocket costs, such as deductibles and co-payments. When signing up for Obamacare, enrollees can apply for an advanced subsidy by estimating their income. Payments go directly to the insurer. Their subsidy level is then adjusted once they file a tax return with their actual income for the year, so in many cases they may have to repay some of the subsidy if they underestimated or get a refund if they thought they'd earn more than they actually did. Enrollees can also opt to pay the entire premium up front and get a refund at tax time. Your state: If you qualify, the size of your subsidy will vary by where you live. That's because the amount is based on the cost of the second-lowest silver plan in your area and works on a sliding scale. To get a better idea of the subsidy amounts, take a look at California, where a 40-year-old can buy the second-cheapest silver plan for $294 a month. If that resident made just under $17,235, he would get a subsidy of $236 and pay a maximum of $57. That person would also have no deductible and pay only $3 for primary care visits because he is getting additional subsidies to minimize his out-of-pocket costs. If his income was just under $28,725, his subsidy would only be $101 and he'd have to fork over as much as $193 a month. He'd have a $1,500 deductible and pay $40 a visit. And if that Californian earned $45,960 or more, he would pay the full cost of up to $294 a month and receive no subsidy. His deductible would be $2,000 and his co-pay would total $45 per visit. While the subsidies will certainly help, many folks may still think Obamacare is pretty pricey. "For a lot of people who are barely making the rent and struggling to pay for groceries, even a very modest premium can seem out of reach," said Sabrina Corlette, senior research fellow at Georgetown's Health Policy Institute. 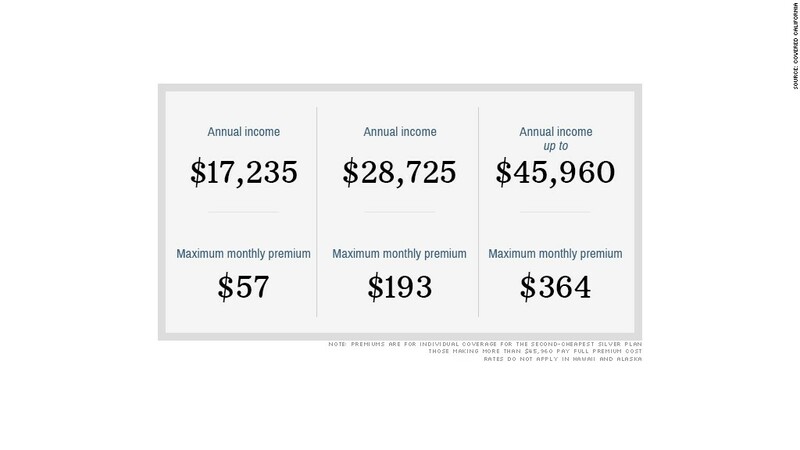 To see how large a subsidy you might receive, check out Kaiser's calculator.